Welcome back to the Weekly Wag, our Saturday series designed to help you bond with your dog. Currently we are working through the Canine Good Citizen exam, discussing ways to help you with each test on this challenging exam. A 10-test examination, each dog must pass EVERY test in the entire exam in order to qualify for the coveted Canine Good Citizen certification. The exam is facilitated by a qualified AKC evaluator and each of your dog's ten test results are recorded separately on a evaluation sheet for every dog being tested. Two handlers each approach one another with their dogs. The handlers shake hands, chat briefly and continue walking past the other. This is intended to simulate a neighborly greeting and the handlers are generally encouraged not to get too enthusiastic. The dogs are expected to wait patiently without barking, jumping, showing signs of fear or aggression. They are not necessarily to be greeted by the other handler and the dogs should not insist on a social greeting. A more aloof, yet socialized dog will often fly through this test without issue. If your Fido is young, playful, under-exercised or simply highly social, you've got a big challenge on your hands. It's a balancing act, for certain, to socialize your dog with humans and other dogs, while also expecting them to be non-reactive to this opportunity for social engagement. Many dogs, including mine, find the messages are confusing. Quite honestly, it is challenging to have it both ways. This test is one best practiced in a place where dogs are generally present with their owners and on-leash such as a pet supply store or area where many owners walk their dogs. In order to get the message across clearly, you'll need to practice time after time after time. Repetitive experiences will eventually get your dog to understand what you expect. 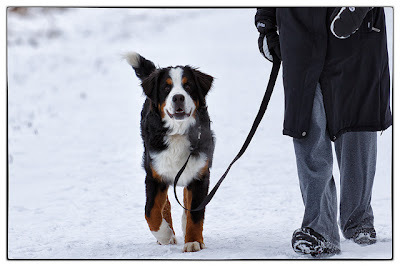 You are free to use verbal praise, cues or commands, but you should not have to correct your dog or walk away to avoid trouble with your dog's behavior. Preparing for the CGC with a group is often the easiest way to get your dog ready. You'll find that many trainers offer courses that help with practice and training to ready your pup for this tough series of tests. This particular part of the exam is much easier to prepare for when you have multiple handlers and their dogs to practice with. However, keep in mind that your dog may have become accustomed to and comfortable with these other humans and dogs during the course of the prep class. It is important to also create some of your own individual training at a pet supply store or dog walk. There just no better way to gauge your dog's readiness for this test than to put him in a new atmosphere with different handlers and dogs. As long as you've taken the initiative to go this far, why not finish the route and assure a better outcome? Good luck with this practice. Next week we'll be talking about Test 9, Reaction to Distraction. This test is one that some dogs breeze through while others fail miserably. Join me next week for some excellent ways to prepare your Fido for this very different part of the exam. 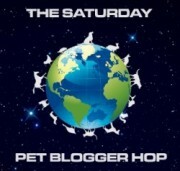 ﻿Join us each week for the Weekly Wag bonding series, held during the Saturday Pet Blogger Hop. The hop is hosted by Life with Dogs, Two Little Cavaliers, and Confessions of the Plume. You are welcome to link up here, or check any of their sites for their rules of participation. Happy hopping! Schooner is very social. I have been following all your great Tips to Getting the Canine Citizen Certification I have a very long way to go with Schooner. Schooner will be 3 in October....maybe some day! Wow! Working towards the Canine Citizen Certification is hard work but it is worth it! Keep up the good work! *Grin* You make it sound so easy! Facing this task with a dog-aggressive and reactive dog was so daunting and took a lot of work. Very worthwhile work, mind you, but a lot of it! And it was still scary, even though we passed it easy-peasy. Thank goodness for truly neutral neutral dogs! Whew! This one is tough. Both my dogs are difficult to handle when they see another dog. I know it is a matter of more training, but finding someone with a dog who is willing to meet with me every day is not easy. We walk every day but we don't meet another dog every day and these sporadic encounters don't help. @Dawn: Very good point. This is why finding a dog-friendly place to walk is your best training method. Daily practice in this environment will bring about the change much faster. We are working on socializing Missy. Very good instruction. Thanks for the info. This is such a good read. I've learned a lot with dog socialization. I can apply these with my own dog. Thanks for sharing. BOL, oh my Felix will never ever be a CGC. He is just SO EXCITED to meet another dog that there is little I can do to contain him. I have some measure of success if I see the other dog first and give Felix an "OFF" and "HUSH" command before they get close enough, but if they catch me unaware? I don't stand a chance... we're working on it. A great post on checking the reaction of one dog on another. Enjoyed reading what all you had to share. @Kolchak Puggle: You make a good point. Keeping a sharp eye out for other dogs gives you the chance to decide if the approaching pup is "good practice" or a "no-way this will work" option. I've learned which dogs can really set off the excitement, and this helps. The more I get a successful greeting that I can praise for, the more the dogs get the idea.